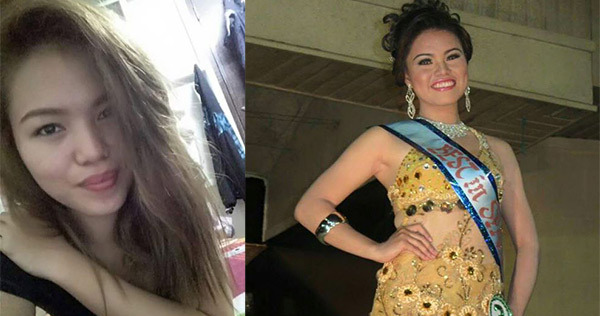 The first runner-up in Miss Saulog of Zamboanga del Norte beauty contest died before Thursday's coronation night of the Miss Dapitan pageant. Mary Antoniette Acedo passed away due to slimming pill overdose that led to multi-organ failure. The 19-year-old lass from Roxas town was confined for almost a week at Zamboanga del Norte Medical Center after she complained of stomachache, diarrhea, and vomiting. Acedo told her physician she could be suffering from amoebiasis, but it was found out that she had been taking slimming pills four times daily. Lab results showed that she took 4 pills a day, a dosage recommended for someone obese. Acedo, however, only weighed 40 kilograms. "When she took this more or less toxic doses, she vomited and then she had this LBM [loose bowel movement] and then it actually caused damage to her other organs," Dr. Rosinee Monte told ABS-CBN News. "Based on the studies, when you take in toxic doses or mega doses of that drug, the main side effect is in the liver so her liver function tests were actually deranged," the doctor reportedly said. According to Acedo's mother, Mary Jane, her daughter bought the slimming pills online. It is believed that the weight loss drug was not FDA approved. The Miss Dapitan coronation night is set for Thursday, July 23.